The following interview was conducted between Roleplayers Chronicle Editor-in-Chief Aaron T. Huss and Higher Dimension Games’ owner Fred Goff. The interview was conducted via e-mail. 1. Please introduce yourself and give us a quick look at your publication credentials. My name is Fred Goff, and I’ve been involved in RPG gaming in one way or another for the past 35 years. I still remember that day long ago when a friend from Junior High invited me over to play this new game he just bought. It was the most original and creative thing I’d ever encountered in my life, even though it consisted of nothing more than three stapled books. I still remember that first gaming session. I was an elf sitting in a bar when some twerp tried to pick a fight with me. I remember how frustrated the DM was because I wasn’t rising to the bait quickly enough. But, even though I was a reluctant warrior in that particular case, I was hooked. I never actually played much as a player, though. All my friends enjoyed my storytelling, and I enjoyed telling the stories, so I was always the guy running the game. This got me up close and personal with all the things about the various games that I didn’t like, and so I started tweaking rules, and that led to eventually writing my own game. Along the way, I had a couple of articles published in Shadis magazine back in the 1990s. One on law enforcement in the future, and the other on how to drop a group of scifi adventurers into a fantasy setting. 2. Please provide a quick overview of Stellar Wind. Stellar Wind is a classic tabletop RPG in the science fiction genre, with an emphasis on scientific realism. It’s a game, that, while futuristic, is believable futuristic. It probably matches the most closely in feel to the Heinlein Space Cadet novels or the Mote in God’s Eye. 3. 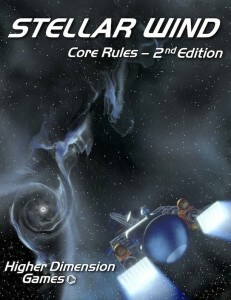 What were your main motivations for developing a 2nd Edition of Stellar Wind? There were some aspects with the first addition that I wasn’t completely satisfied with. Firstly, the game was written more with a print focus. I had expected people to either buy the PDF and print it out, or to buy the print version of the game, and so the layout and artwork was done with that in mind. Then I found out that most people were actually using the PDF on their iPads or laptops and were not bothering with printing it out at all, so I had an opportunity to optimize the layout for that sort of delivery. I also was less than satisfied with the artwork in the first edition. 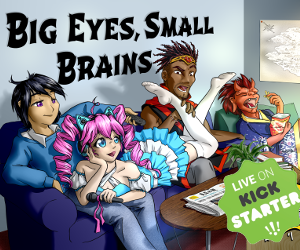 As a small, indie publisher, I operate on a very tight budget, and a lot of the first edition art reflected that. A second edition let me revisit the art and provide a richer experience for buyers of the game. Not only was the game fun to play, now, but it was also more fun to look at and read. And, finally, there were some rules, that while good in theory, had some problems that would affect playability over time. The second edition gave me an opportunity to correct those errors. 4. What are your favorite aspects of the sci-fi genre, possibly leading to your development of Stellar Wind? I’ve always been a nut for space travel, space ships and science. One of my big motivations in writing Stellar Wind was to address the shortcomings in those areas I saw in other games. For example, all other science fiction games make space travel basically not much more than “ocean liners in space.” I wanted space travel that was truly a unique experience for players. I think I accomplished that, more especially so with the second edition. 5. Are previous supplements still compatible with the 2nd Edition? The Player’s Aids are not compatible, and I’ve had to update them for second edition, so players should make sure they are grabbing the correct version. The setting book, Olympus Mons is compatible enough to use without any major issues. Ditto the NPC book, Resumes and Rapsheets. 6. What does the future of Stellar Wind look like? Now that the second edition is done, I’ll be working on a new setting book for the game. It was while writing the setting book, in fact, that I ran into the rules issues that got me thinking about a second edition. 7. Do you have a preference for hard sci-fi over something more flexible like space opera or space fantasy? Not necessarily. I view hard scifi like Doritos and space opera/space fantasy like Little Debbie cupcakes. After a bag of Doritos, it’s nice to munch on something sweet, but after a while you’re tired of sugar and want something with a little more crunch. Journeyman was my first attempt at writing and publishing my own role-playing game back in the 1990s. It did reasonably well, meaning I didn’t lose money (this was back in the time when you had to put a few thousand dollars up front to get a few dozen cases of books printed and then hope you sold enough to distributors not to go bankrupt). I basically put it up for sale for nostalgic reasons and for people who wanted to see the evolution of Stellar Wind. 9. How does Journeyman compare to Stellar Wind? Journeyman is a precursor Stellar Wind. it’s much less hard science (I knew a lot less science when I wrote it). It’s also not as well written or thought out, since I didn’t have as much experience designing and writing games back then. Still, people who played it and bought it, liked it. 10. Do you plan on developing any other systems or settings? I am currently working on another game system that is quite a departure from Stellar Wind. Look for it in the next few months. 11. Other than your own publications, what is your preferred gaming system? My favorite game systems are those that strike a balance between death by rules, and just sitting around the campfire chewing the fat. The original Traveller (the little black books), and AD&D/second edition D&D have always seemed to me to be the games to hit that sweet spot. 12. Do you get the chance to run your own system often outside of conventions or general playtest promotion? Not as much as I would like to. 13. What type of sci-fi setting do you prefer the most? Something gritty like gothic sci-fi or something with a focus on technology and realism? My favorite science fiction settings are those that are believable without being depressing. The world is dark enough without me role playing dystopian futures, and I’ve never been a fan of transhuman futures. I like being a human and experiencing the human condition with all its triumphs and tragedies. If I could have a perfect science fiction setting, it would be a lot like Firefly, but with a bit more science. 14. Other than the standard hard sci-fi of Stellar Wind, how much flexibility does it have to create different flavors of sci-fi, such as space fantasy? The core rules (character generation, combat, skills and skill levels) are pretty adaptable. A number of the supporting rules assume various scientific realities are in place, so if you start adding fantasy elements, you may be giving yourself some work writing house rules. That being said, Stellar Wind can be an excellent resource book for other SF games you are running. There are subsystems in place for handling disease, radiation, poisons, native alien life, etc. that can adapt to any setting with little effort. 15. Please feel free to provide a plug for anything desired, such as an upcoming release or new project in development. I am currently working on an entirely new game that adapts some of the core Stellar Wind rule systems to a more fanciful setting. The few people I’ve run the idea by for feedback are pretty excited at what I am shooting for. There’s not anything quite like it right now in the RPG gaming space that I’m aware of. Hopefully, I should have something to show in the next few months.